Congratulations to our first ‘Wish you were here’ winners of 2015, the very deserving Rick Stein Group! The group consists of The Seafood Restaurant, St Petroc’s Hotel, Rick Steins Café, St Edmunds House, Prospect House, Bryn Cottage, Steins at Trevone Farm and Martindale. In 1975 Rick (Christopher Richard Stein OBE, an English chef, restaurateur and television presenter) and Jill Stein opened The Seafood Restaurant in Padstow and their passion for great food and service hasn't changed since. The properties are all modern, spacious and inviting but our favourite has to be The Seafood Restaurant. 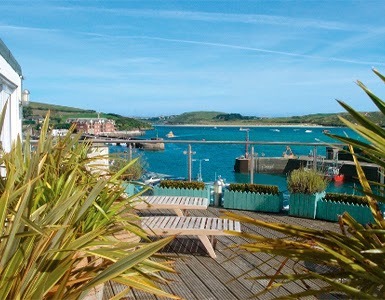 With 16 rooms this hotel offers the luxury of staying above their flagship Restaurant in Padstow. The Hotel offers a dog sitting service, Molton Brown toiletries, a laundry service and of course a mini bar to make your stay as relaxing as possible. Recently the group were in the news for raising £1,200 for the British Red Cross.